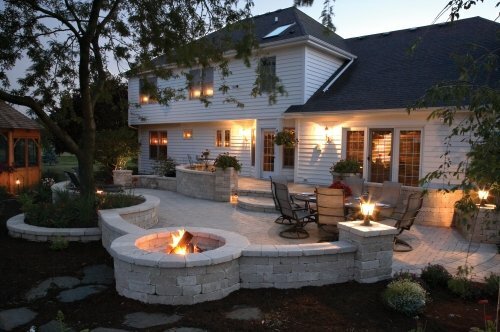 Sinking down into a comfortable chair and enjoying a crackling fire in your own backyard. Sounds good! Fire pits have been around since the caveman days, and lately they’ve been enjoying a resurgence in the residential landscape. Fire pits can be simple (a metal ring sunk in the ground) or more elaborate (detailed brick rings). They are an easy and affordable outdoor gathering place!